How do I find materials at MIU Libraries? Start with the search catalog on the University Libraries home page. The library catalog (or Search All) has suggestions for locating different types of materials. If you don’t find what you are looking for, please Ask a Librarian. Can I search all the resources of MIU Library in one search? EDS searches almost all of the content from MIU Libraries’ print and digital collections, including books, articles, academic periodicals data, sound recordings and much more. More details are available at EDS. How do I access electronic resources on campus? Using your MIU ID and Password, you can access electronic resources from any computer on or campus. 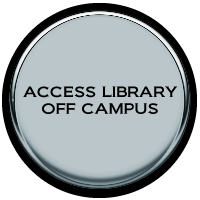 The library provides unrestricted access to e-resources from any computer located on campus. You will find links to e-resources under Searching section on library Home page. (Specialized Databases – General Databases – eBooks). Search All is a good place to start searching in all e-resources from single search box. Does my MIU ID get me into both libraries? Generally, yes. Any student can use both libraries since he/she has a valid ID. Who can use MIU libraries? MIU Libraries primarily serve the University’s current faculty members and students who hold valid MIU ID’s. To borrow items from MIU Libraries, take them with your ID to the circulation desk, and the staff will check them out to you. As long as no other library patron needs them, you can renew books twice. Use My Library Accounts to access your account. For more information, please Ask a Librarian. Can I return materials to any MIU Library? All library books and reserves should be returned directly to the library from which they were borrowed. The policies for fines are unified in both libraries. Please check your My Library Account or contact the appropriate library directly. MIU Librarians are eager to assist you. You can Ask a Librarian or request an Orientation session. How can I get help with Mendeley, Zotero, EndNote or other citation tools? Please see the Citation Tools under Services in the Home page. Does MIU Library have electronic books that I can download? MIU Library has a growing collection of electronic books, some of which can be downloaded. Check EDS for titles. Can I find a quiet place to study in the library? The Electronic Library on the second floor in the Main Building is equipped with 23 individual quiet study units. To reserve your unit, please visit our Booking System. How can I reserve my individual Study Unit / Classes? You have to check the Units Booking Guide / Classes Booking Guide. For any further information please contact us. Please visit Donate a Book page for more information. How do I print or make copies in the libraries? Patrons can usually print from all public computer workstations. Check the Facilities page for more information concerning printing policies and fees. How do I ask the library to purchase materials? You can use Wish a Book to suggest items for purchase. Who can use online resources available through the MIU Library website? Access to most e-resources is restricted to current MIU faculty, students and staff with valid MIU IDs and Passwords. I can’t find the answer to my question in these FAQ – where can I get more help? Try to Ask a Librarian for library and research-related questions.